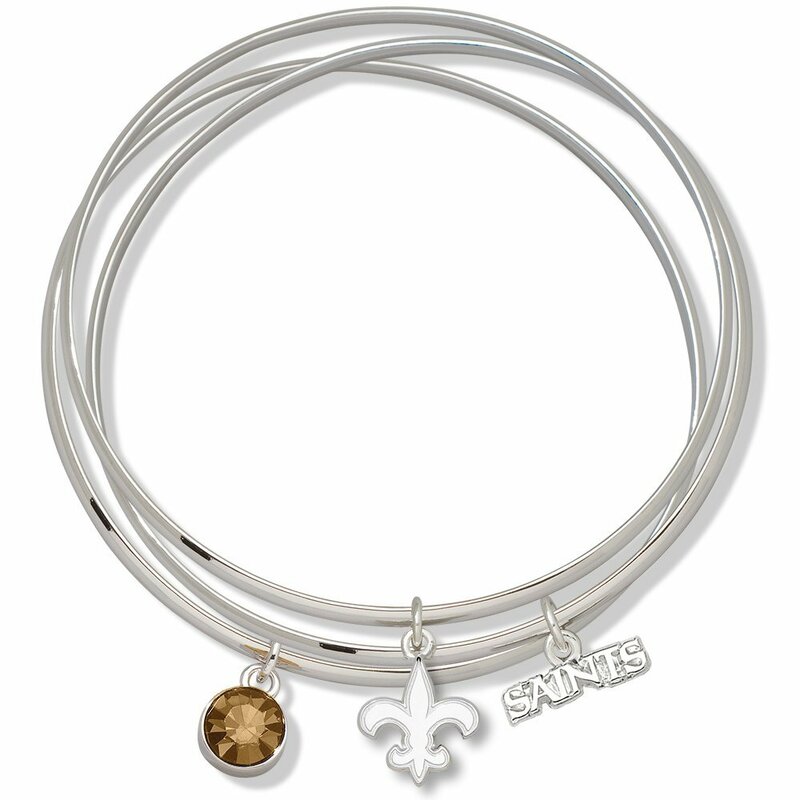 Bangle bracelets have been very trendy for a while now and their popularity is likely to continue. They come in a variety of styles and price points, but the gold standard is Alex and Ani, who single-handedly made the bangle charm bracelet into the fashion phenomenon it is today. The genius is in the simplicity and stackability of these bracelets — you can't wear just one, you must use at least three at one time or risk a fashion fail. A wristful is preferable because it means you take your bangle game seriously. Not to mention each bracelet is literally a piece of wire in the shape of a circle with a charm strung on. You could make that...but you won't. Alex and Ani bangles have morphed into a status symbol because they cost a pretty penny — an average of about $35 each. So if you want to stack multiple bangles, just do the math. It adds up fast. Women often wear upwards of $100 or more in Alex and Ani arm candy! So what's a thrifty shopper who wants the look for less to do? Consider your options! Would you Splurge or Save on a set of team bangles?